Ahoy! 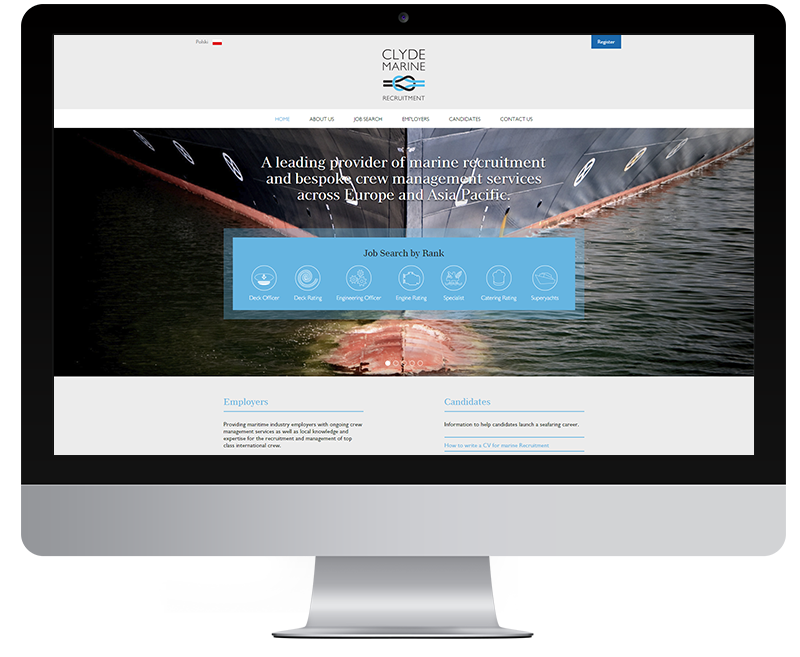 We designed and built a WordPress website for Clyde Marine Recruitment. 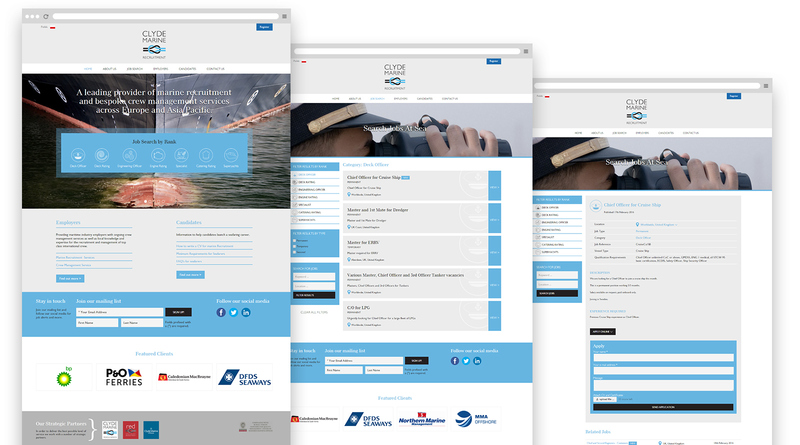 CMR are a leading provider of marine recruitment and bespoke crew management services across Europe and Asia Pacific. The website is total design overhaul bringing CMR right up to date with a website that represents their ambitions and stature. Thanks to Sharon for her good eye for design - the news looks great! And thanks to all of you guys, the website really looks amazing! Everyone is really very happy with it! The main function of the website is to provide an easy to use recruitment portal for candidates seeking a seafaring career. It is mobile friendly so it displays nicely on smartphones and tablets, as well as looking great on your desktop computer or laptop. 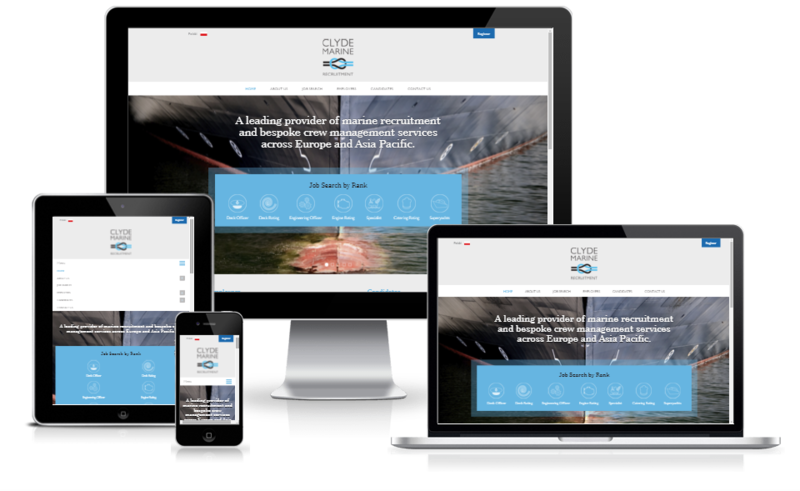 We hope that that by making the website accessible and usable by candidates who will use a wide range of devices it will help Clyde Marine Recruitment to promote and grow their business.